The inbox. The final frontier. Okay, maybe not really, but you get the picture. Email marketers are constantly looking for ways to Improve email open and response rates, testing and trying out every technique under the sun to boost ROI for their clients. Our team of email marketers does it, too. Luckily, even in this competitive guessing game for optimizing for the inbox, we’ve been able to nail down a few fool-proof ways that are sure to improve your email marketing response rates, no matter what you’re trying to contact your readers about. The first thing you need to figure out when optimizing the email marketing and auto responder sequence is to figure out When’s the best time to send an email? Now, if you are someone who follows every guide on the internet, like this one, keep in mind that the suggested best time to email does not apply to every business as it is merely based on the general trends in the Industry. According to Scott Stratten of UnMarketing, “The best time to never send an email is when someone else told you to”. 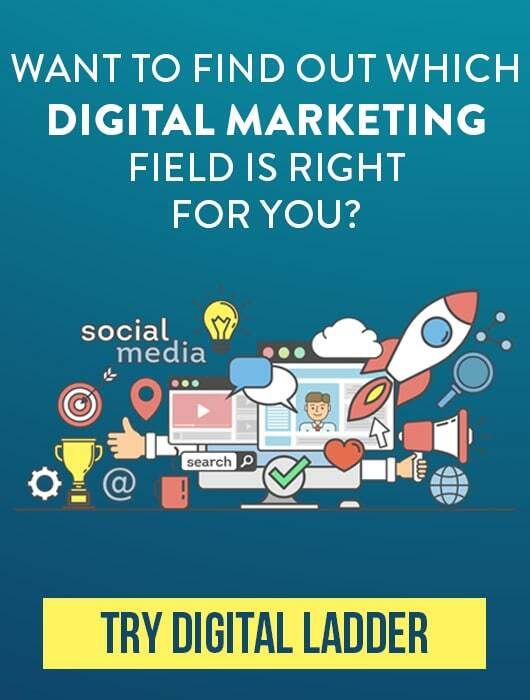 What you should be doing is to find the right and best time using your own data, many email software providers like Aweber, MailChimp and Campaign Monitor have analytics dashboard which shows data on your open rate and time which help you optimize your campaigns. Quickly. It’s easy to get mired in writing great content, but when it comes to email, people need the message quickly and succinctly. Keeping it short, simple and to the point as it has been confirmed by the experts that people are inherently lazy and tend to choose the action that requires the least energy. We spend far too much time on our inbox, this study on PandoDaily revealed analysis of 38,000 inboxes found that 30% of people have between 10k – 21k emails in their inboxes. Now you don’t want your emails stream in and get stacked by that of the competitors. Say what you need to say in the beginning – then build up your persuasive argument. There’s nothing worse than being told to do something and not quite knowing what that is. Be sure that you make it clear in your email on the action you’d like for your reader to take. If you are searching for ideas than the call to actions can be direct such as a link or button which leads to the checkout page or in-direct such as a post or social share to engage users in both cases you need to test the placement and type of call to actions and see which outperforms the other one. MailChimp has published some very compelling research that shows higher click-rates from email spammers that can give you ideas on how images lead to higher click through rate as compared to text based links. 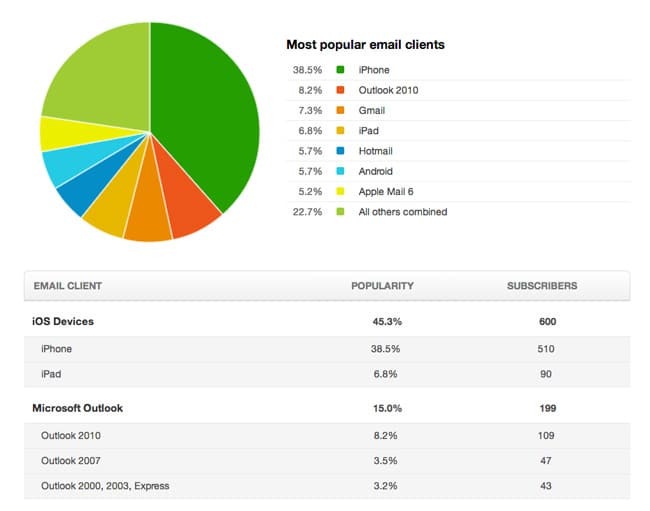 Testing your email on mobile, as well as in multiple email clients, can make or break a campaign. A study by eConsultancy reveals that 41% of email is now being opened on mobile devices and that number is on the rise for both mobile and tablet devices with decline in desktop and pc’s. Be sure that things are rendering properly on all platforms and email clients. Yes, Proofread, Proofread, then Proofread Again. Unprofessional emails with spelling errors, poor grammar, or other glaring issues can cause email subscribers to delete as soon as they open – or to never open at all. Be sure to proofread your content and rework until it’s perfect. Hook with a Strong Subject. Getting an email that says something vague without a sense of urgency is a recipe for staying unopened. A report from Radicati Group found that average corporate email user sends and receives about 115 emails a day. With that many emails no wonder why a large portion of that either goes to spam or trash and never gets opened. So how do you cut through the clutter and make sure your email isn’t one of the ones that get’s dumped right away? Easy, you write a perfect email subject line. You can significantly improve your email response rate by writing a subject line that clearly says what someone can expect – and why they should even bother to open. There are a lot of great resources online if you look up for tips on writing a great headline however I’d suggest getting hold of Jon Morrow’s Headline Hacks report to get 52 time tested headline templates that are proven to work. Avoid “Do Not Reply” Language. Let’s put it this way: would you ever do business with a company that says, “Don’t contact me if you have a problem?” Probably not. When you do the same thing on your email marketing messages, it can alienate readers. This does not only apply to customer support but also towards email marketing. If you send out emails too frequently and all you try to do is sell than you are a failed cause because that will not lead you anywhere infact people will start unsubscribing. Make sure you deliver valuable content that gets people excited every time you press the send button as it can lead to better response rate. Make sure you have a way for people to respond to you – have a redirected email address for replies set up in advance. Also, make contact or customer service information readily available. 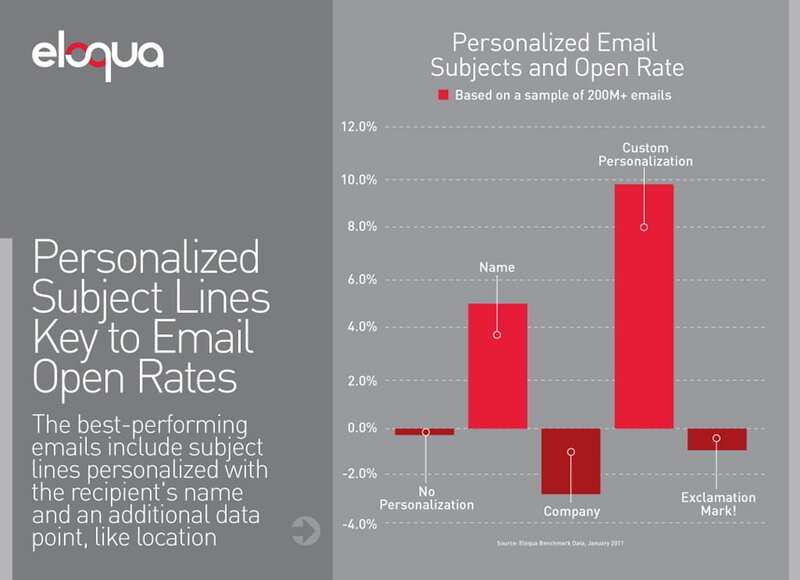 When you have the data available, personalization can seriously boost your success rate. Have the first name of the recipient populated at the very least, as that personal touch can go a long way. In all marketing efforts, personalization can yield big benefits so don’t leave it out of your customers’ inboxes. Now if you want to become an evangelist for email personalization, you should know that email marketing softwares like Aweber, MailChimp and other services that lie in the same category have limits to how much you can personalize the email which includes name in subject title, name in the body but even that has a positive correlation with email open and response rates as shown a study by eloqua. However, if you want to go full throttle mode than marketing automation is what you need which allows you to set up sequences and custom personalizations that will skyrocket your response rates and campaign ROI. Marketing automation platforms such as Hubspot and Infusionsoft allows you to market to prospects in the sales cycle based on the actions they take which triggers tags and sends email and offers accordingly. It also allows users to fill out form to self segment themselves to receive content they are interested in, imagine the kind of response rate you can get on a targeted segment of your subscribers rather than blasting out emails to everyone and wondering why the conversion rate is low. Check out features of our recommended marketing automation software. This may be a no-brainer, but you’d be surprised on how many businesses neglect to follow these rules. Be sure you’re in compliance by having all system-generated emails outfitted with a physical address as well as unsubscribe information that’s easy to find. It’ll make you look more trustworthy plus it’s good business practice. Here is a 10 point checklist that you can use as a reference to check if your emails are Can-Spam act compliant. Use a Professional, Branded Template. You can tell when a business is really trying at email marketing – and you can also tell when they’re not putting the effort in. Having a branded email template consistent with your other marketing efforts can create a good impression and also lend to the trust factor of your email. If you are a customer of any of the email marketing softwares we mentioned above you’ll get access to a lot of templates in the marketplace but i’ll suggest to spend time and invest in having a good custom template created (and be sure to apply one of our other tips and test that template to ensure it works for ALL readers – not just a few!). Unbounce wrote a very good post on conversion killers in email marketing which focuses on using branded templates so if you plan to make your own, make sure you read on and don’t make the same mistakes. Another no-brainer, but again, it’s one of the biggest flaws we see in most email campaigns. When you don’t have a good offer, no one is compelled to open your email. It’s that simple. So, make it worth their while. Think of unique incentives that can make reading your email worth the time (a 2% off coupon won’t cut it) and if you can’t offer something big, start brainstorming ways that you can offer other value instead. For example, offer up a bit of knowledge that the reader could use on the fly. Or, give a reference to something that they’ll benefit from. Or share testimonials or social proof that can help up your trust factor. Food delivery service Seamless Web faces a marketing challenge: Their customers are the busiest people in town – they can’t even spare the minutes to pick up lunch. Seamless sends coupon code emails that are well-received (including very popular “mystery coupon codes” which aren’t revealed until they are plugged in at checkout), each featuring a preceding announcement and a follow-up email with the coupon code. No message requires scrolling below the fold – great for users on mobiles or tablets. Best of all, Seamless acknowledges the one thing they know about their customers: They are busy, and apologies for interrupting. The follow-up email containing the coupon is equally simple. Clear sharing buttons enhance the lifetime value of the email and will increase conversions beyond the subscriber list. No one wants to read a stuffy newsletter. When it comes to your marketing messages, a sense of humor can go a long way. Keep things light and informal. Remember – the inbox is a very personal thing for a person. It’s like being invited into the living room of your reader. Make sure you’re a good guest by being open, conversational, and offering value. The minute you start to lecture or get long-winded, you lose your audience. With these tips in mind, what questions do you still have about making your email marketing blasts more effective? Leave us a comment and we’d be happy to help!